To defy the Dutch blockade of the waterways here after Belgian independence, the locals of Damme dug the Leopold Canal, known locally as ‘the Blinker’. While ‘Saison’ has been interpreted in different ways in various countries, many Belgians argue that it’s not a style at all. It emerged from the need for Walloon farms to both put their ‘saisonniere’ farm hands to work in the winter months and to keep those same workers adequately refreshed while toiling the fields in the summer. 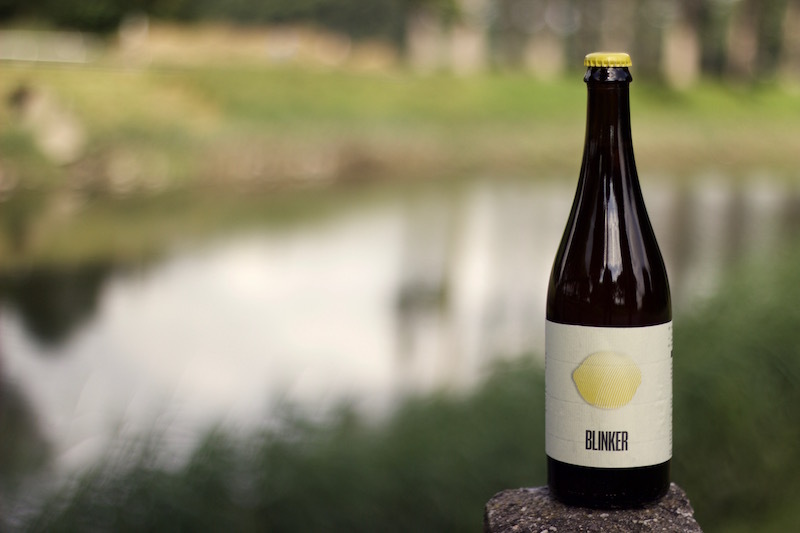 Blinker is made with modern ingredients and techniques, but we defer to the intention of those early producers. It’s made from grain which would have been available on those farms (barley and wheat) and from earthy and spicy European hop varieties (Challenger and Goldings) from the hop fields of Poperinge. We achieve dryness by selecting a highly attenuating yeast strain which we believe ferments as deep as their ambient farmhouse yeasts might have done. What we’re left with is an incredibly dry and thirst-quenching beer with a pronounced fruitiness. The strength of the Blinker lies in its simplicity. It’s brewed to a sessionable alcohol level. There are no spice or herb additions at all. The lemon symbol adorning our label references not only the juicy citrus aromas and flavours delivered by our characterful yeast, but the colour of the sun and the taste of a season.